The union said it remains focused on helping resolve the Bus Éireann dispute. IRISH RAIL AND Dublin Bus are considering legal action over the ‘wildcat’ strike that caused massive disruption to bus and train services on Friday. 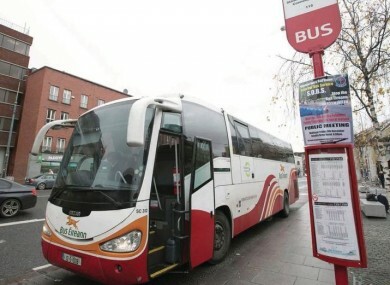 Unions have distanced themselves from the secondary picketing connected to the ongoing Bus Éireann strike, saying it was not officially sanctioned. Córas Iompair Éireann (CIÉ) is expected to take legal action against the National Bus and Rail Union (NBRU) over the disruption and lost revenue it caused. NBRU General Secretary Dermot O’Leary told TheJournal.ie: ”Any allegations levelled against the NBRU in relation to the action undertaken by bus workers, action which we have already condemned, will be comprehensively assessed by our legal team. A spokesperson for Irish Rail confirmed that legal action is being considered. They added that the company has ”no indication at this time” that further secondary picketing will take place. Should it happen there is of course the possibility of further disruption. However, we will do what we can to ensure our services continue to operate. A spokesperson for Dublin Bus said they expect their services to operate as normal this week. Some 2,600 Bus Éireann workers have been on strike for over a week. They said they have been left with no other option but to continue their industrial action over cutbacks, which management said are necessary to save money as the company faces insolvency. Email “Fears of more disruption as NBRU may be sued over 'wildcat' strike ”. Feedback on “Fears of more disruption as NBRU may be sued over 'wildcat' strike ”.